Positive and negative association mining are well-known and extensively studied data mining techniques to analyze market basket data. Efficient algorithms exist to find both types of association, separately or simultaneously. Association mining is performed by operating on the transaction data. Despite being an integral part of the transaction data, the pricing and time information has not been incorporated into market basket analysis so far, and additional attributes have been handled using quantitative association mining. 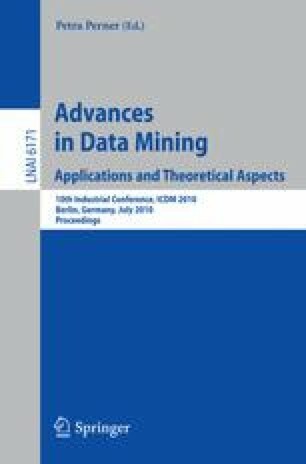 In this paper, a new approach is proposed to incorporate price, time and domain related attributes into data mining by re-mining the association mining results. The underlying factors behind positive and negative relationships, as indicated by the association rules, are characterized and described through the second data mining stage re-mining. The applicability of the methodology is demonstrated by analyzing data coming from apparel retailing industry, where price markdown is an essential tool for promoting sales and generating increased revenue.